Huzzah! The Irvington Garden Tour today was a resounding success. I'm not sure how many people came through, but I made about 200 maps (see previous post) and we went through all of them. Despite the occasional threatening cloud, we had gorgeous weather: blue skies, light breeze, and temps in the mid-70s. CAS and son came over to help out; Calvin spent a goodly part of the afternoon mowing my sidewalk with his plastic mower. Amy F. volunteered for ticket taking, along with a couple of other lovely women. And the people were wonderful. This unassuming shade plant was an object of intense interest by visitors, partly because it's one of the few plants that flowers well in shade this time of year. It has long, strappy leaves and a scrambling habit. The blue flowers bloom in clusters in the morning, but close up by late afternoon into buds that resemble bunches of grapes. 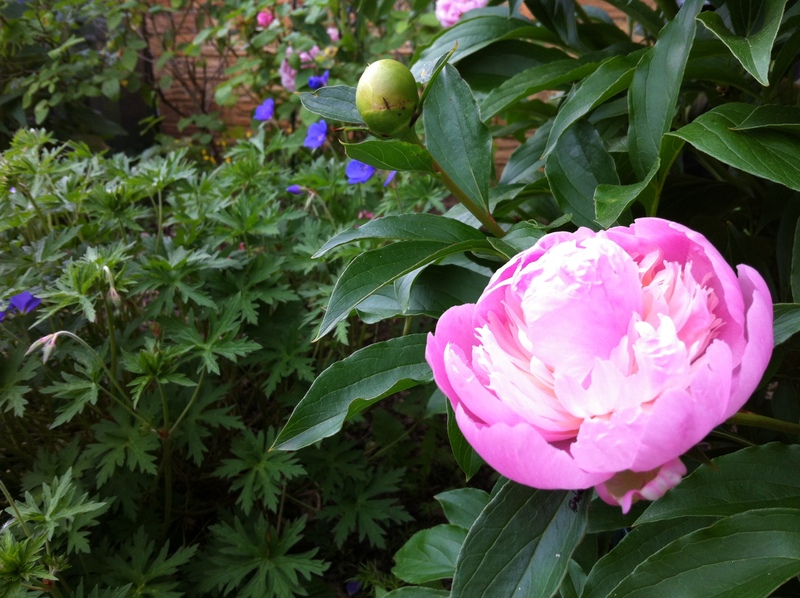 In my garden, it blooms from late spring through mid-summer. It can't handle sun, so give it full or part shade and ample moisture. 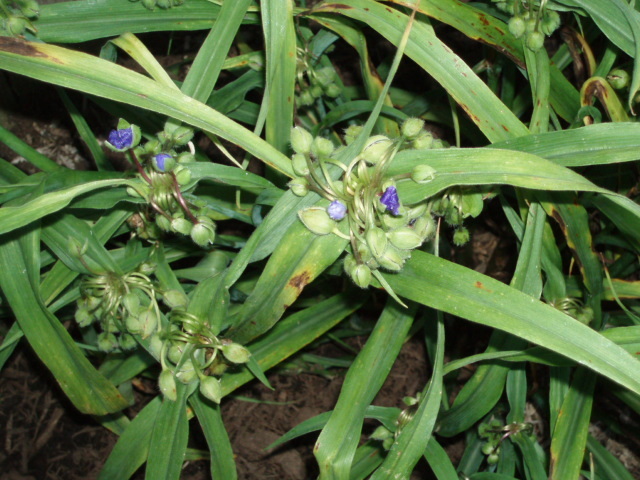 Wikipedia has this to say about spiderwort. 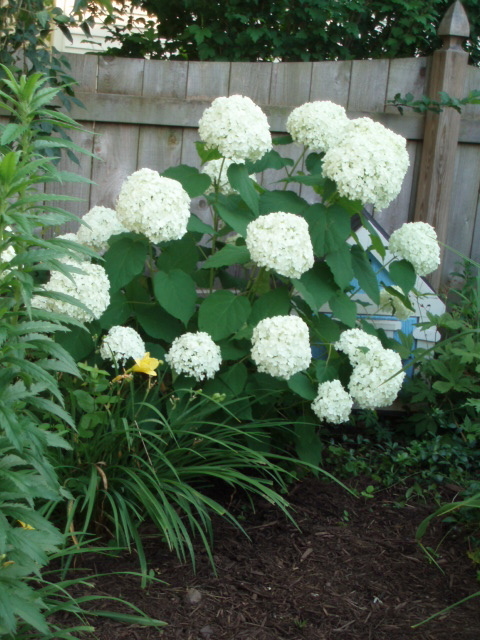 This old-fashioned hydrangea sports giant clusters of white blooms that dry well. 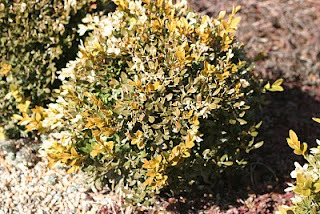 It's best in a part-shade setting, since full sun can fry it, but full shade inhibits its growth. Anabelle generally gets about 4 feet tall and equally wide. Best of all, it loves Midwestern humidity. 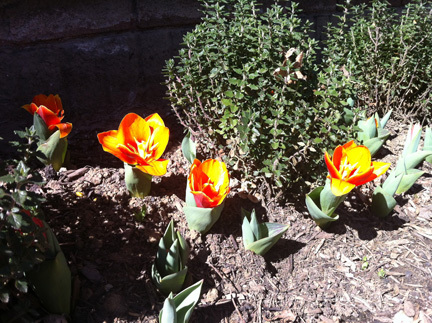 It blooms on new growth, so in late February or early March, whack it back to the ground. You'll get stronger, less floppy stems and more blooms. Here's the Wayside Gardens entry for Annabelle. This relatively new mophead hydrangea blooms on both old and new wood, so you are guaranteed blooms even in the event of a late frost. Don't prune it at all, unless a branch breaks off or something. 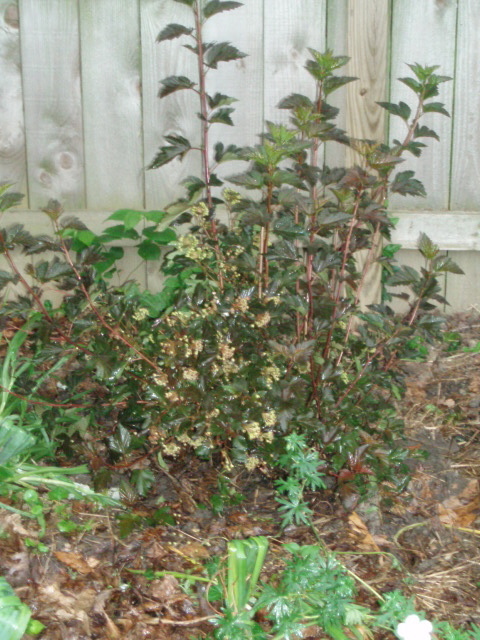 Full size is about 5 feet tall by 4 feet wide, but my four-year-old plants are still at about 2.5' x 2.5'. 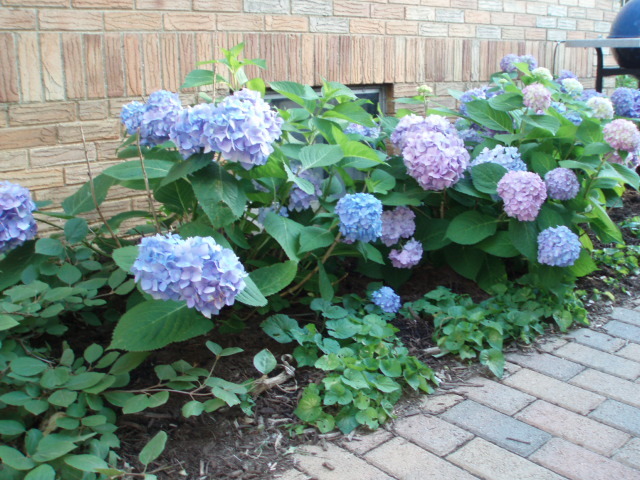 These hydrangeas do best with protection from the afternoon sun and a lot of moisture. 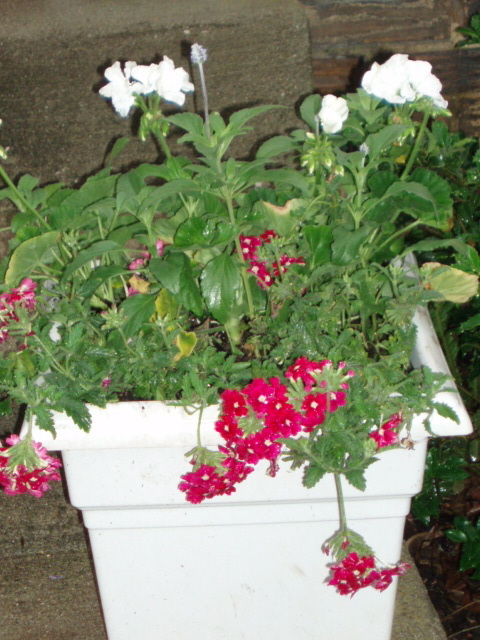 They'll be pink in alkaline soil, which is what most of us in central Indiana have. If you want them to be blue, you need to acidify the soil. You can use aluminum sulfate, elemental sulfur, or the old-fashioned method, burying rusty nails in the soil. I only need to correct soil pH every two or three years. Here's more about Endless Summer from Wayside Gardens. 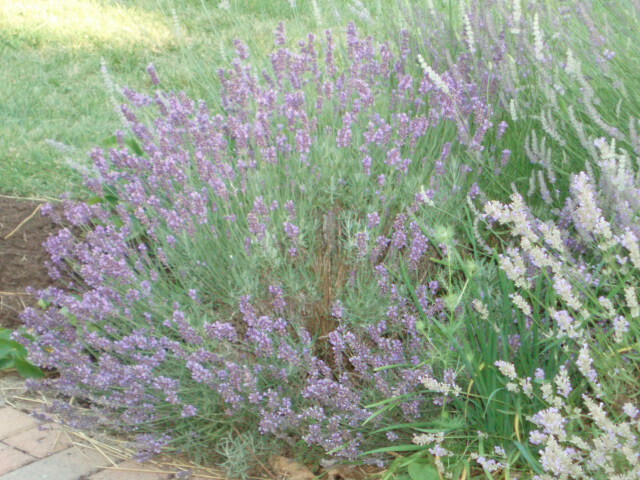 Lavender is my favorite plant; contrary to what you've heard, you can grow it in Indiana. The trick is to find plants well adapted to Zone 5. My favorites are Lavendula angustifolia (which is narrow-leafed or English lavender) 'Hidcote' and 'Mustead' for their dark purple blooms and intense fragrance. Lavindin (Lavendula x intermedia) varieties 'Grosso' and 'Provence' have long stems ideal for crafts and are particularly good for Indiana. Plant them in full sun in little hills amended with some sand to improve the drainage; they don't like wet feet or rich soil. 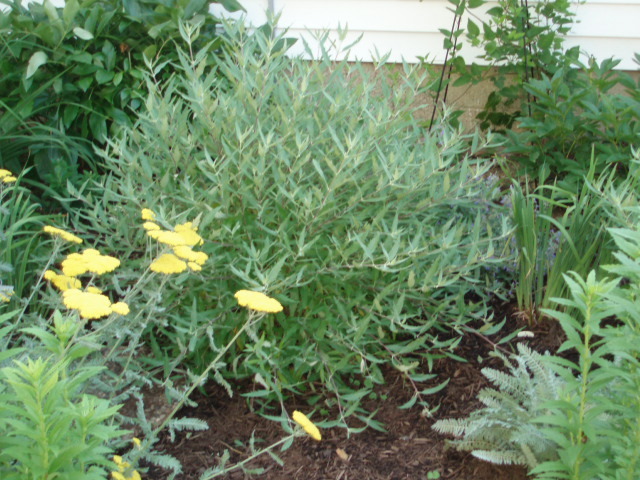 At the end of the summer, cut off the flower stems to shape the bush into a globe. 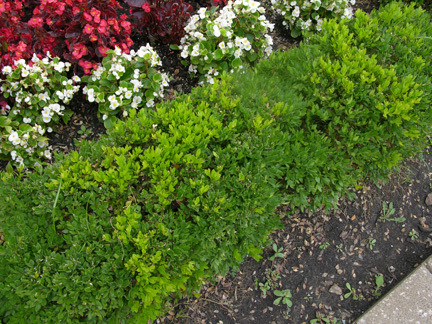 In late February or early March, cut them back by about 1/3. Don't cut into the brown, woody part, though; they won't releaf from the woody stems. Expect about a five-year life span for each plant. Wikipedia has more info about lavender here. This shrub sports small purple flowers when it starts blooming in August, and it keeps blooming through frost. Butterflies love it. I can't remember the specific variety I have, but the mature size is about 3' x 3'. Cut it back in late February to early March to between 6 and 12 inches; it flowers on new growth. It roots easily too; after a few years, you may have little shrublets for your pals. It likes full sun; in my garden it gets eastern light. It will tolerate less-than-stellar soils. This Bluestone Perennials link is for Caryopteris Longwood Blue. This full-sun annual fills in among the perennials in my rose border. It self-seeds like crazy, but any unwanted plants are easy to pull up. Its flowers look like bachelor buttons, but the ferny foliage is soft. The white, blue, and purple flowers are followed by seed pods that look like little lanterns. 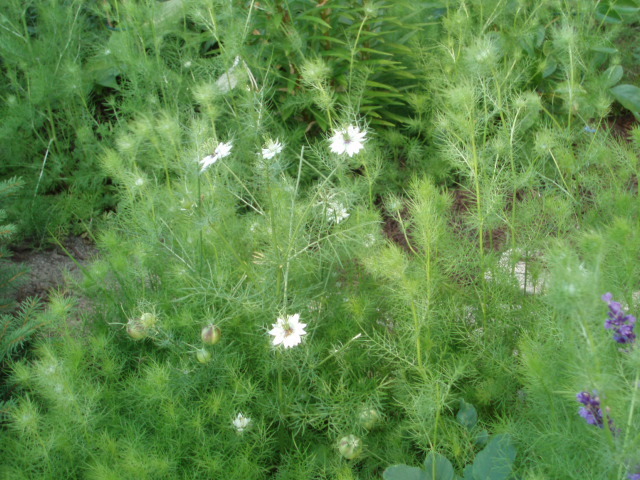 I think my Nigella is the Miss Jekyll Blend, so that's what I'm linking to. It was a fabulous day, and I loved talking with people about my favorite plants. Thanks to all who visited! I've always believed in planting what grows easily in my yard. Not thugs, mind you, that completely overtake the garden beds and have to be rooted out one damn tuberous rhizome at a time (lily of the valley, I'm looking at you). But I do not believe in fussing over my plants. If they can't make due with well-composted soil and an occasional supplemental watering in the dead of summer, I don't need them. The thing about growing what grows well is that eventually it's going to start muscling in on its neighbors. Then it's time to get the shovel and whack out some clumps, transplanting them elsewhere in the yard. This process is euphemistically called "editing." Other forms of editing include moving a plant to three different places in the yard to find a spot where it does well, yanking out plants that are past their prime, or rearranging the entire planting scheme by digging it up. "Editing" is the gardening equivalent of forced relocation. Today I edited. CAS put in a new garden last year and would love some pass-alongs. As the iris was slowly disappearing into the hardy geranium currently in bloom, I pulled out the shovel and sawed off a few clumps of the geranium for her. I also moved the white Siberian iris from along the fence (where I'm planning to put herbs) and into some bare spots between the caryopteris in the garage blue-and-yellow border. They'll be almost completely engulfed by the caryopteris when it leafs out, but that won't be until later in the summer, well past the irises' bloom time. In the process I divided those. I heaved the clumps on the ground, put the point of the shovel in the middle of the root mass, and jumped on it. Voila! Multiple iris plants. And I'm pretty sure they'll do just fine, even though they weren't divided in the fall. Many will say you should only divide perennials when they are resting: in the spring for summer- and fall-blooming plants (such as asters or coneflowers) and fall for iris and geranium. I say that's all well and good, and it does improve your chances of successful transplant. 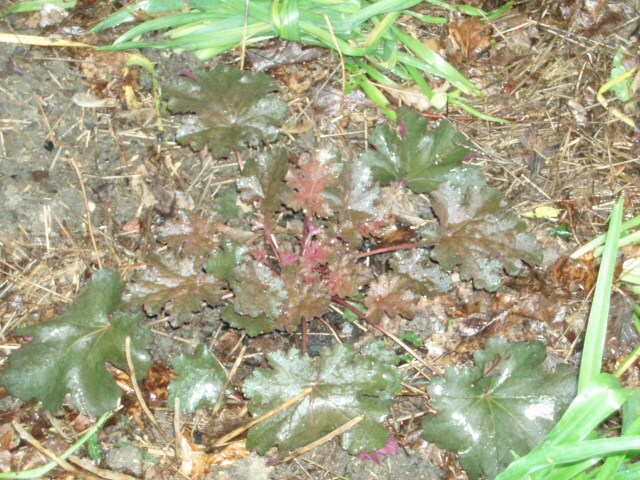 But my babies are all pretty hardy and unlikely to take offense at an out-of-season move, provided I keep them watered. Besides, I like the instant gratification of moving plants when I get an inspiration. Also, I had to jump on an shovel jammed into the root mass to separate the iris. It's not a fussy plant. I'm just saying. Plant what grows well. It cuts down on headaches, you'll be able to take lots of divisions and give them to your friends, and you'll become very popular at the garden club meeting.